Mottahedeh ~ Blue Shou ~ 5Pc Setting, Price $185.00 in New York, NY from William-Wayne & Co. Elements Of The Iconic Blue Canton Pattern Have Been Adapted To This New Pattern, Merging Them Into Sleek Modern Shapes. The Word Shou (Pronounced "Show") Is The Chinese Word For Longevity. The Pine Tree. Which Is A Key Element Of The Pattern Symbolizes Endurance And Long Life. 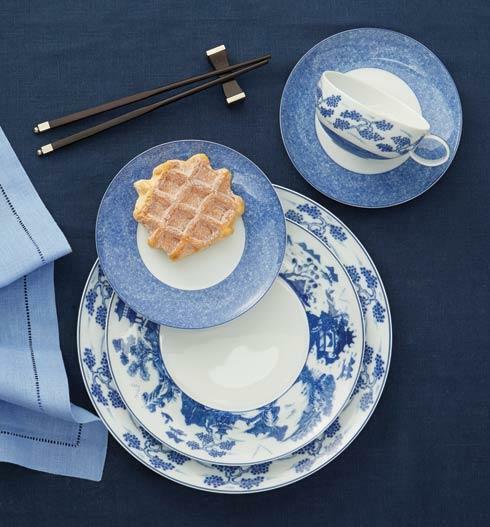 Blue Shou Is Produced In Classic Cobalt On Bright White Porcelain: A Classic In Its Own Right.